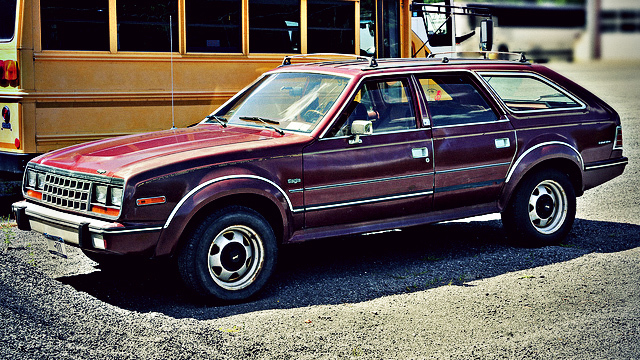 In 1987, the Eagle was the marque of Chrysler Corporation, aimed at the enthusiastic driver. Compared to their competitors, the Eagle had a unique touch with its logo being an eagle and not the Chrysler Corporation "Pentastar" logo. This small detail shows that the car was original, and like the driver always ready to try something different. The Eagle brand didn’t have a niche market because the product line was so diverse. The Eagle vehicles included passenger cars, luxury sedans, and sports cars. No matter what type of Eagle you drive, it’s extremely important to have a reliable automobile that provides an enjoyable driving experience. Lucky Dog Garage can help you with that! Lucky Dog Garage’s team of experienced and ASE-certified technicians is not going to limit themselves to just the basic look-over of your Eagle vehicle, we want to ensure our service goes above and beyond your initial expectations. Whether it’s a simple oil change or a major repair, we want to fix the problem that you came in with. We also want to discover and take care of any minor issues before they become an expensive hazard. At Lucky Dog Garage, we encourage our customers to bring their Eagle vehicles in when they’re approaching their factory recommended mileage intervals for service. Call us today at (651) 427-3976 to speak with our knowledgeable staff or schedule an appointment online with us. Visit (651) 427-3976’s shop located at 130 St. Croix Trail N.Lakeland, MN 55043. We are here to help!